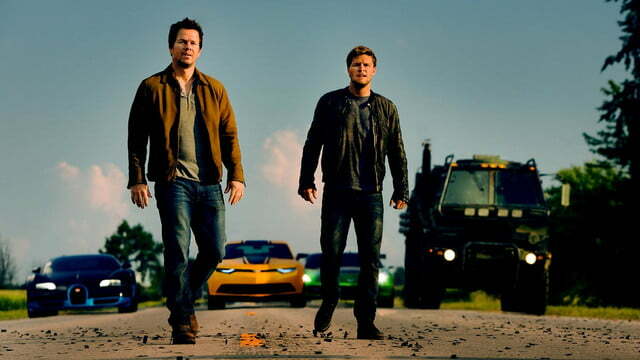 Transformers: Age of Extinction is exactly what you think it is. This statement applies whether you love or hate the Transformers movies. It applies if you think they’re the most run-of-the-mill blockbusters imaginable, or if you think their energon-infused explosions provide consistently prime entertainment. 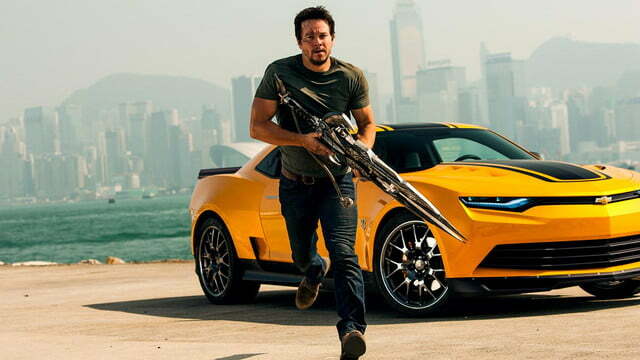 However you slice it, the fact remains that Transformers: Age of Extinction is a Transformers movie. It is as advertised. It is what it is. In Age of Extinction, four years have passed since the Battle of Chicago. 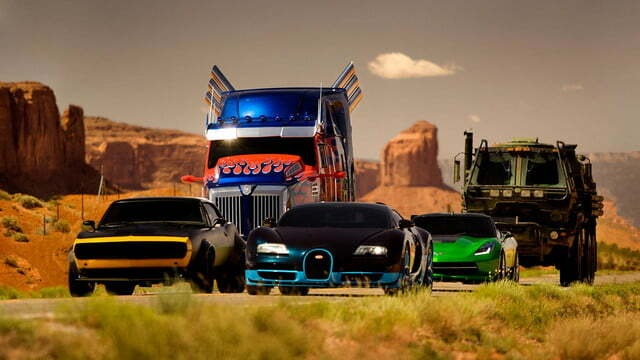 Autobots and Decepticons are known quantities. 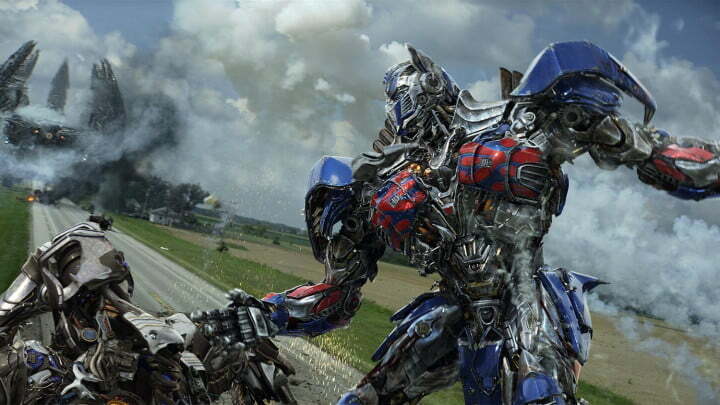 Civilians are supposed to alert authorities if they have any information concerning the whereabouts of a Transformer. Although it’s not publicly recognized, there are shadow organizations in play specifically designed to hunt and destroy Transformers, breaking them down for parts, selling them to the highest bidder. 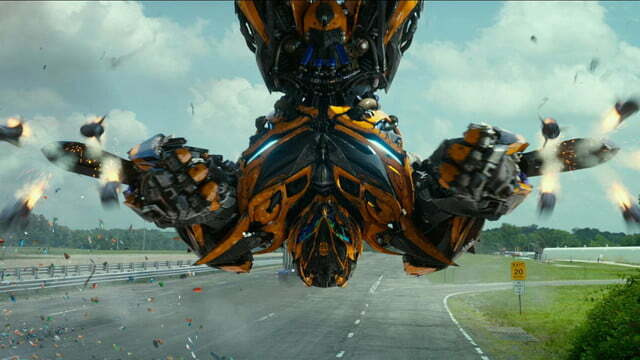 Transformers: Age of Extinction is a Transformers movie. It is as advertised. It is what it is. More often than not, the highest bidder is Joshua Joyce (Stanley Tucci), a Steve Jobs doppelganger intent on pioneering new technology based on Transformers’ physiology. His intentions are pure — mostly, anyway; sure he wants to make a profit, but he wants to profit the human race as well. But you know what they say about good intentions. His race to create new technology directly results in the destruction of innocent Autobots, forcing Optimus Prime and his companions to go dark in order to evade (you guessed it) extinction. Enter Cade Yeager (Mark Wahlberg), a single father and dirt-poor inventor with an imagination exceeded only by the size of his biceps. His daughter Tessa (Nicola Peltz) and his foundering financial situation are his two greatest concerns, until he discovers a Transformer — the Transformer. 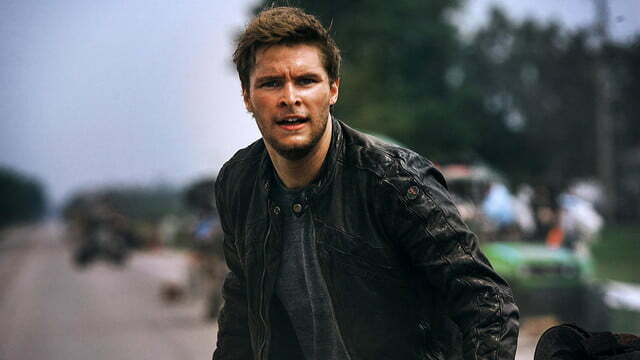 When Optimus Prime enters Cade’s life, he and his daughter (joined by her obnoxious race car driver boyfriend Shane, played by newcomer Jack Reynor) are forced on the run, pursued by enemies and an agenda far above their pay-grade. Bayhem ensues. Even as the Transformers franchise shifts away from the Shia LaBeouf era, Age of Extinction still sports shades of the Witwicky of it all. 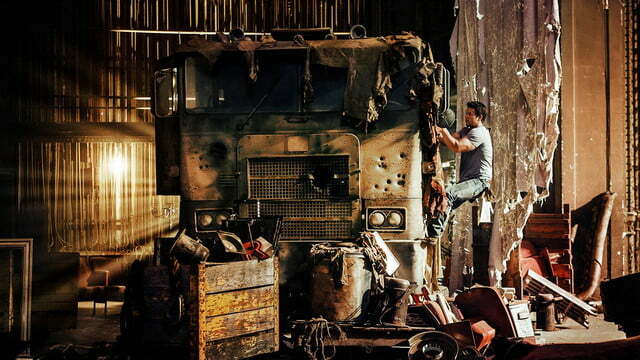 As with the first film in the series, Age of Extinction begins as a “boy meets car” story. 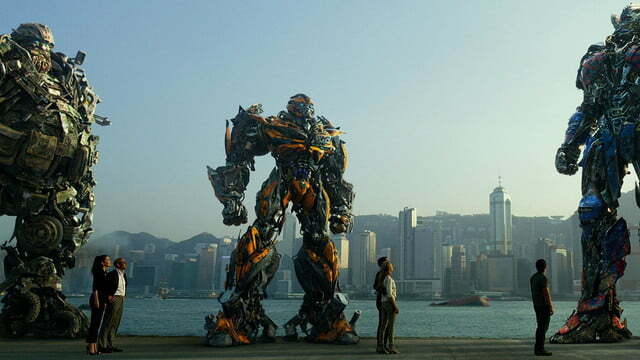 But where the first film had a sense of newness and wonder, Age of Extinction follows the beats established by its predecessors, even with an entirely new cast in place. New coat of paint, same old car. At 165 minutes in length, Age of Extinction is easily the longest film in the franchise, edging dangerously close to the three-hour mark. 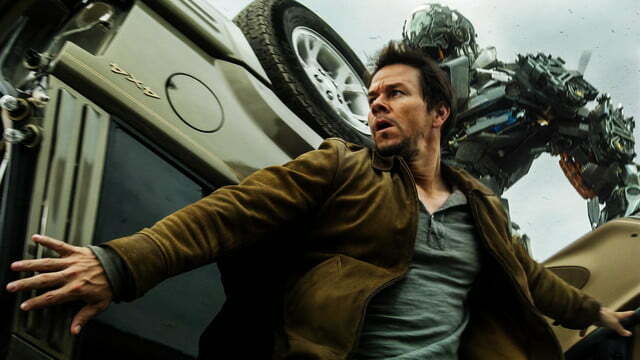 In its defense, hardly a moment of the film is wasted on things as arbitrary as “plot” or “character development.” When Michael Bay calls “action,” Wahlberg and the robots do as they’re told. There’s no single “Battle of Chicago” set piece in this one; Age of Extinction is basically one giant set piece broken down into numerous battles, including one almost hour-long sequence that is, believe it or not, once again set in Chicago. It’s an exhausting experience, but you get what you pay for. Because Transformers is primarily an action figure franchise, there are tons of new toys in play in Age of Extinction, some cooler than others. There’s some actual spark (Get it? Spark?) in one of the new Autobots: Hound, a round-bellied, cigar-chomping, mechanical-bearded hunk of junk voiced by John Goodman. He chews on scenery and robot nemeses in equal measure, and it is legitimately delightful. 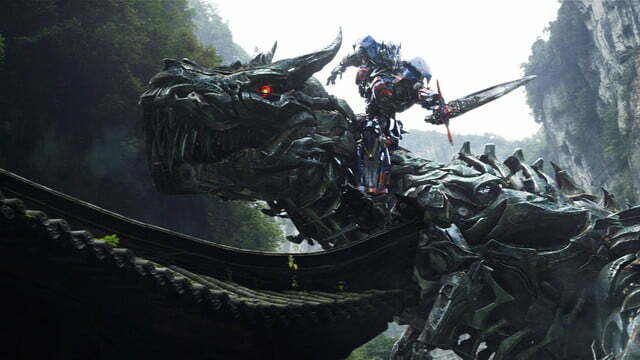 Optimus Prime leads the charge as he always does, and he has some moments of greatness, especially in the earliest and latest portions of the movie; if Age of Extinction accomplishes nothing else, it puts a sword-wielding Prime on the back of a cybernetic Tyrannosaurus Rex. 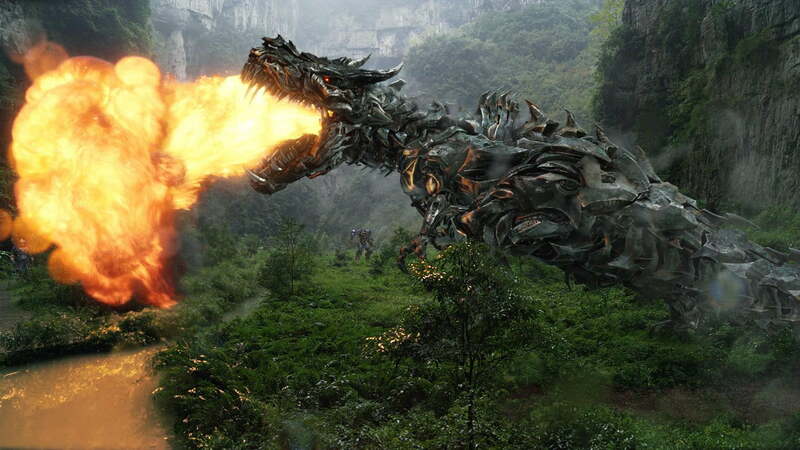 It’s just too bad that the cybernetic Tyrannosaurus Rex is Grimlock in name only. The Dinobots are some of the most treasured characters in Transformers lore, thanks mostly to their larger-than-life stature and personalities. 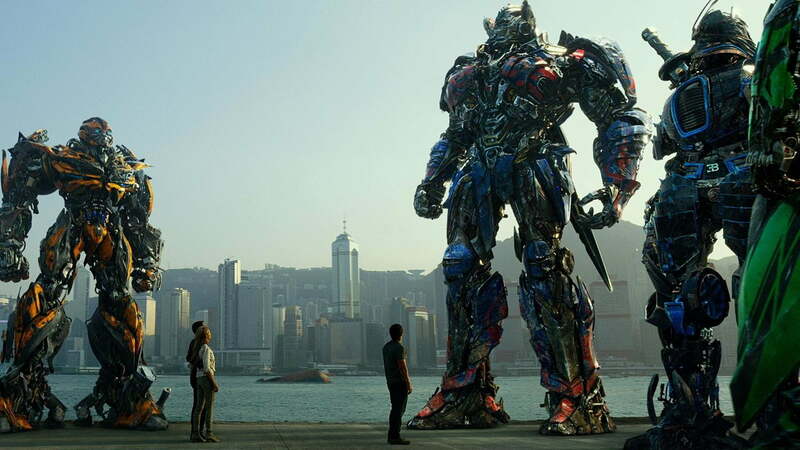 Age of Extinction gets the stature part right, at least. Grimlock is devoid of dialogue, and devoid of soul. He’s just the horse that Optimus rides in on. At least the film’s villains have a pulse, especially Lockdown, an alien bounty hunter who has come to Earth for Optimus Prime’s head. He is an absolute menace, eviscerating Autobots like it’s his job. (It’s literally his job.) 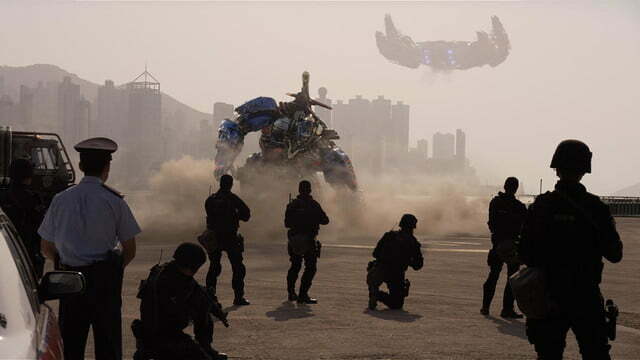 Lockdown is at the heart of the very best scene of the movie, a sequence involving the persecution of stalwart Autobot Ratchet; easily the most thrilling and engaging action scene of the film, if not the entire franchise. Lockdown works with Harold Attinger, a greedy, warmongering CIA operative played by Kelsey Grammer. The Frasier veteran delivers one of the best human performances in any of the Transformers movies, growling out dialogue and spewing venomous stares out of his piercing cold eyes. He’s wide awake, as is Stanley Tucci’s Joyce, even if he tends to err too far on the side of slapstick as the movie wears on. As for the other humans? 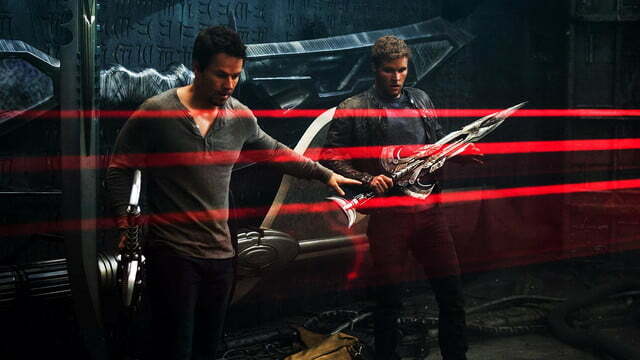 Wahlberg’s Yeager exists. That’s more than can be said for Reynor as bland bad boy Shane, or for Peltz as Tessa; she makes Megan Fox’s Mikaela and Rosie Huntington-Whiteley’s Carly look like Sarah Connor and Ellen Ripley, respectively. But let’s be honest. Who needs warm bodies when you have three hours of robots beating each other up?